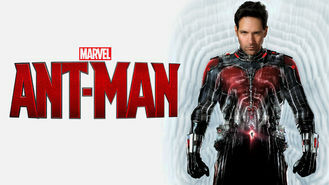 Ant-Man (2015) on Netflix India. Check worldwide Netflix availability! If Ant-Man isn't available in your country, or you are visiting a country where it isn't, there is still a way to watch it! A paroled thief steals a suit that can shrink him to insect-size with superhuman strength, but a rival uses the same technology as a weapon of war. Heroes come in a surprising variety of shapes and sizes. Sometimes you even have to squint a little to see them.